This was a pretty good and busy week. 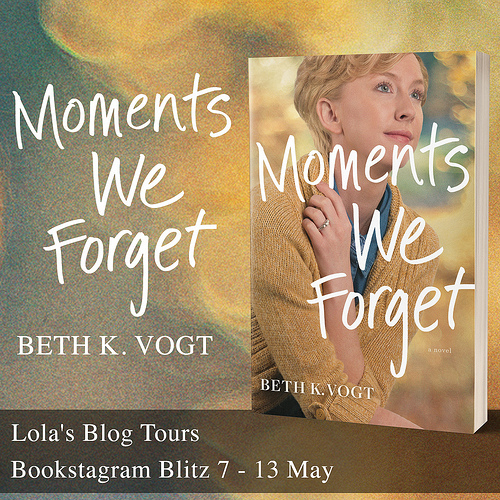 I had quite a lot of new tours sign-up posts go live this week, a book blitz, a blog tour and a cover reveal. And I am working on some other tours that will go live next week. The fourth week of the Myths & Legends book blitz took place this week and a cover reveal for a dystopian book took place on Friday. 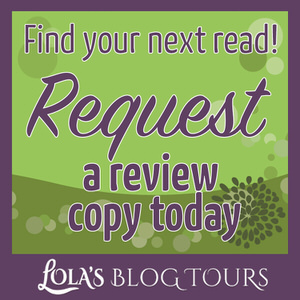 Last Monday I kicked off my blog tour discount on Lola’s Blog Tours. 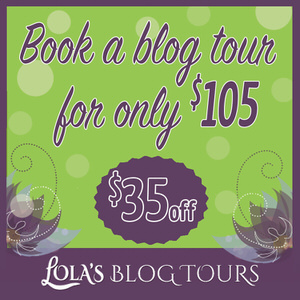 I wanted to put blog tours in the spotlight with a big discount, so I discounted them from $140 to only $105. 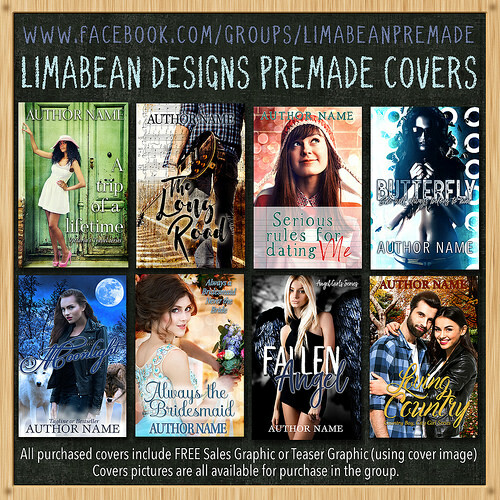 And Michelle from Limabean Designs made a pretty banner for the discount, which is really nice to have for promotion purposes! I copied it below so you can see it, it’s also in my sidebar :). So spent some time putting that discount live, updating everywhere to display the new price and scheduling tweets and fb posts. If you want to help spread the word liking my Facebook post or retweeting on twitter would be a big help! Or if you know an author who might be interested, make sure to let them know. Thanks in advance! So this week was pretty busy with work. I did get some reading done and even wrote a discussion post. Ironically I wrote a discussion post about my recent lack of the, but I suddenly had inspiration to write it all down and explain things as well as tackle the topic of balancing blogging, work and life and what to expect from Lola’s Reviews now. It was great to actually have gotten a discussion post written again. And I can only hope I can keep this up and write one now and then. On the topic of reading and blogging, I’ve been planning to get better about reviewing ARC’s on or close around release day. So I started putting release dates down in my calendar and am hoping I can get this to work. I feel bad about how I sometimes review books so late and I hope with my current focus on reading books I recently got I can also finally make sure I review them in a timely matter. We’ll see how that goes. I know I already mentioned this last week, but I thought it wouldn’t hurt to share again. SJ Pajonas as put her book Summer Haikus up for free on her website! 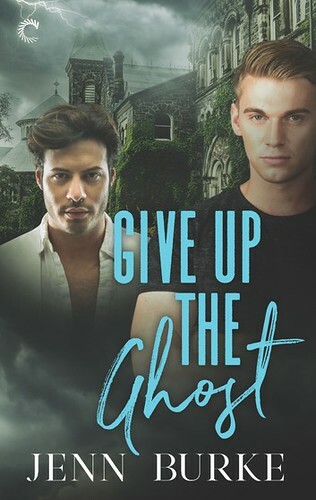 I loved this book and it’s one of the best romances I’ve ever read! I can’t say enough good things about this book and SJ Pajonas’ books in general. She even used a quote from my review on the top of the page! Anyway if you like a good romance, you can check out Summer Haikus here. If you do please let me know what you think of it! I am hoping I can re-read Summer Haikus this year. Once in a while we order some products from an online Asian supermarket, things like soy sauce, curry paste etc which are much cheaper that way or are only available there. I also bought two varieties of bean sauce to try out for a new recipe I made this week, mapo tofu. 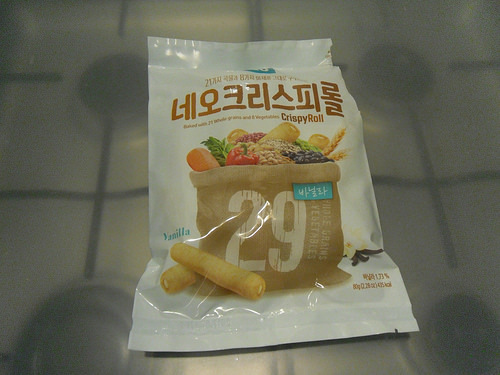 Okay back tot he topic of the picture, this time we bought a few new snacks to try out (I have another picture of a different snack for next week). I saw these being advertised in one of their e-mails and decided I wanted to give them a try. They are crispy rolls with vanilla filling in them. They are quite good! Apparently they are made with lots of veggies and grains, which is why you see that bag with veggies and grains on the packing. And they are packaged individually, which is really neat so you can eat how many you want and the rest doesn’t get old. What’s the most recent new snack you’ve tried? I only finished one book this week, but even so I still call it a good reading week as Scandal was really good! I already am looking forward to book 2 as I want to know what happens next. 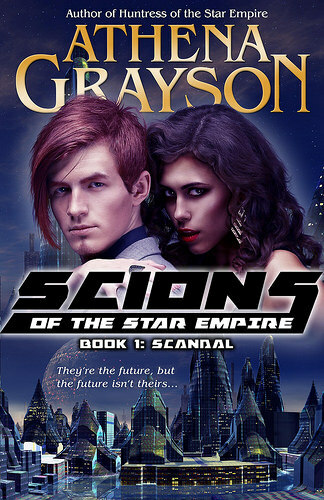 If you like a good sci-fi with hints of dystopian, some romantic elements and lots of social intrigue and schemes, I would recommend this one. Scandal is only $0.99 for a limited time in case you’re interested :). – Review: Magic’s Not Real by JL Hendricks. – Before I Shatter by Mandy Peterson – 17 April – New! – Blog Tour: Black Dawn by Mallory McCartney – 1 till 21 May – New! – Book Blitz: Saying I Do by Tracey Alvarez – 19 till 25 May – New! I did a lot better with getting new books this week than last week. Only 3 new books this week and all are books I am really excited about. 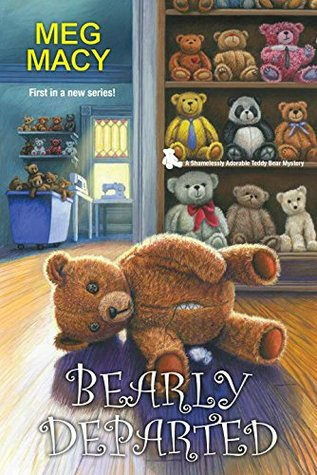 I heard about Bearly Departed a while ago and it sounded so good, so I was excited to see it pop up on netgalley. I request it and got approved yay! 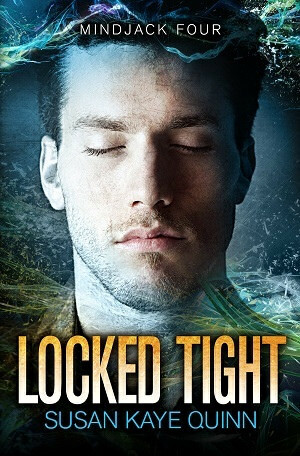 Locked Tight I got for review form the author. 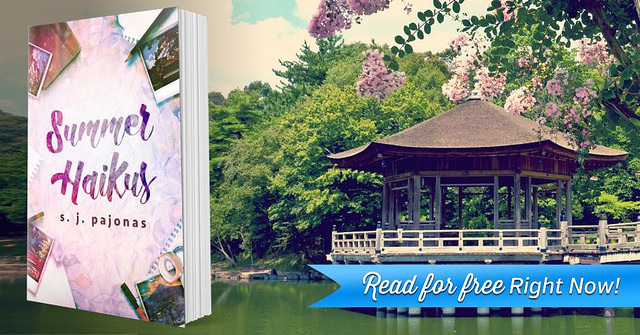 I love the Mindjack series, book 1 is free in case you’re interested, and it’s so exciting that after many years the author decided to go back to it and write book 4! I can’t wait to start this one, it will be my next read. 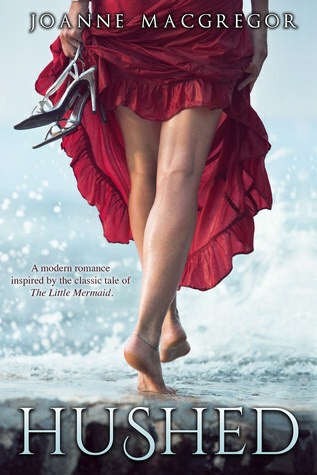 Hushed I was seeing everywhere this week it seemed, it’s a contemporary romance retelling of the little mermaid. The Little mermaid was always one of my favorite fairytales and the blurb sounded good and it was only $0.99 so I got it. I like the look of the crispy rolls with vanilla. I used to love chinese curries but the local takeaways are now making them so hot that I can’t eat them. Guess I’ll have to try the supermarket ones instead. 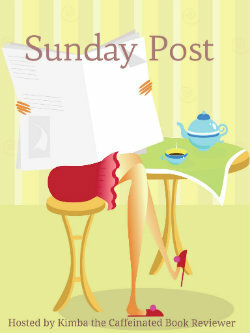 Hope you get some good reading done this week! The crispy rolls are quite good, I like the flavor of them. Curries are difficult, I don’t like it when they are too spicy either. That’s why I like to make mine from scratch so I can decide how spicy to make them. Wow! Lots of work for your business and now a sale to really bring in more tours to do. Looks like you’ll really be hopping busy the next few months. 🙂 Neat banner to catch the eye, too. I’m hit or miss with discussions always, but I’ll look forward to your discussion on time management. I’ve had to work on that when I started getting online more and reviewing. The vanilla rolls look tasty. Reminds me of those hazelnut cookie sticks that people use in coffee. Oh, new book you got looks good and nice amount of reading this week. Wishing you another good one, Lola! It’s been a good year for my business so far and I hope this keeps up. I am really happy with the banner, it’s nice to add it to my social media tweets and posts as it has all the important details on it. I used to do pretty well with posting discussion posts regularly, but lately I haven’t been doing so well. And then I decided to write about. Time management is difficult. I think I know which you mean. 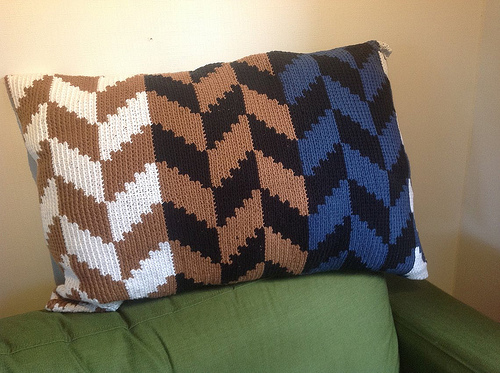 These are a bit broader than those, but the texture is sort of similar. They are pretty good. My sister orders random snacks from Japan a lot and it always looks like fun (but a ton of packaging) and I’m always curious about what it tastes like. I may just have to join in soon. I love trying new things! I am happy it was a good week for work :). Scandal was really good, I think you might like it. Looks like you’re keeping very busy with the blog tours — good for you! I hope your business does really well. Enjoy your new books and your snacks; they sound tasty! Crispy rolls with vanilla in them. That sounds pretty good. I love crispy sweet treats. I’ve been trying to eat a little healthier since my blood sugar numbers have been too high so I’ll probably have some recipes on my blog soon. Looks like you’ve been keeping busy and that’s always a good thing. They were pretty good! They sounded good, so I had to give them a try. I am looking forward to your recipe posts! You busy keeps me busy 😉 I love doing banners for you. That crispy roll with vanilla looks good! They remind me of something we have here but I can’t think of what it was called, lol. I was showing my daughter and we both couldn’t think of the name. PS I got your email. I will have it for you I hope tonight. 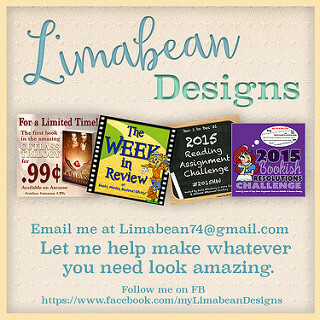 I am so grateful to have you as my banner designer. I always love seeing the banners you design. You do amazing work! That’s annoying when you remember something, but can’t think of the name. The crispy rolls are pretty good. I hope you have a great week too! And thanks for letting me know you got my e-mail :). I’ll have to look at the Mindjack series, especially if the first one’s free. It sounds like something I’d like. I wish I could get to doing the discussion posts more regularly, maybe eventually I’ll get tot hat point again. It was nice to get one written this week. The crispy rolls are pretty good. It was fun to try out something new. I think you might enjoy the Mindjack series. I would really recommend it, Susan is an amazing writer. It’s always great when you can try out a new series for free. I’m happy for you that you’ve been getting so much work lately 🙂 And the banner for the promo looks great! It’s funny the kinds of things that give us inspiration for discussions sometimes lol. And that’s good you’re reviewing ARCs closer to release dates. I try to do that too. Glad the book you read was so good! Quality over quantity 🙂 Have a great week! Me too! It makes me happy my business is doing well lately. And it’s nice to have a banner for the promotion that has all the main details. I thought it was kinda ironic my first discussion posts in a long time is about my lack of them, but I just felt like writing the post and get my thoughts out. I never really put as much focus on reviewing ARC’s close to release date and only did so when there was a strict deadline, but I want to be better about that and do my best to actually review them around release day. Oh that’s too bad that new you snack you dried also dehydrated you :(. These crispy rolls were pretty good ad we also got some rice crackers that I am sharing a picture of next week. Exactly, maybe I didn’t read much, but at least it was a good one. 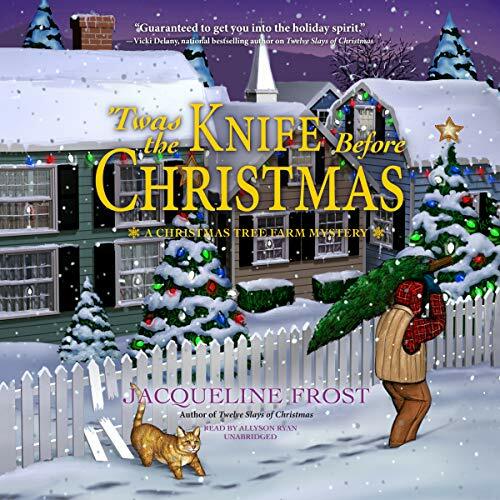 And the author mentioned book 2 is being released soon-ish, so I don’t have to wait too long for that. The vanilla cookies look good. When I go to our Asian market I often tried different cookies. I also feel bad if I don’t review an ARC by the release date but I am trying to be better. I’m also trying not to request any more ARCs until I’m caught up but it is hard to resist lol. I hope you have a great week! It’s fun to try out new cookies and snacks :). I used to be pretty bad at reviewing by release day, so I want to do better at that and am hoping I can review most ARC’s now on or around release day from now onward. I’ve doing pretty well this month, so I hope I can keep it up. I’s really hard to resist getting new ARC’s. That’s exciting about your blog tour sale – I hope you are very successful!! That snack looks interesting – that’s cool it has some veggies in it though! Thanks! I hope the sale is a success. I am tracking how well my sales do this year, so it will be interesting to see which ones are most successful. Most of the work I was working on last week was still things that got booked before the discount. I have had a few authors book a blog tour so far, but I wouldn’t be surprised if some are waiting til later in the month to book. Oh that would be great if you could make use of the discount :). Just let me know when you want to book one! I am so excited for your new scifi series! As usual I am running late on my commenting. Sorry! Sounds like you have been busy! And that’s a really good sale you had/are having. Carrot and onion casserole? What else is in it? You have me curious. I hope you are having another good, busy week! No problem! I hope the sale does well this month. It’s actually a dish that is named carrots and onion literally translated from dutch. It’s mashed potatoes with carrot and onion in it and then I add some breadcrumbs on top and put it in the oven. It’s really good. I’ll have to share the recipe someday.